Straight from the top of the K2 line comes the K2 F.I.T. 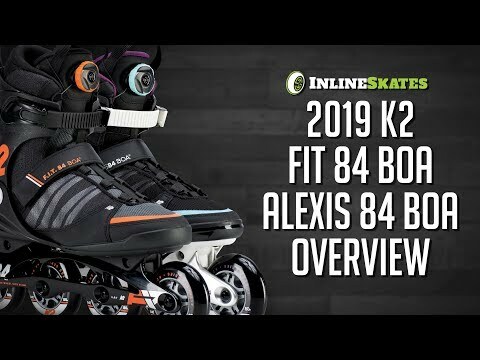 84 Boa Inline Skates. These are the skates that offer it all. From easy lacing to comfort to speedy wheels, these are the skates that make the recreational, working-out skater love what they do. For starters, you'll have the Boa Closure System which makes getting secure inside your skate quick and easy. A few turns of the dial will have you comfortably inside your boot with adjustments on the fly being super simple. The Stability Plus Cuff was made for recreational and fitness skating and offer lots of support and versatility. Built with DC Aluminum, the frames make maneuvering easier, give you lots of stability but also maximize power transmission to each stride you make. These skates comes with 84mm wheels which are durable and provide a smooth roll. Add to it the ILQ7 bearings and you'll have an excellent glide with each roll of the wheel. 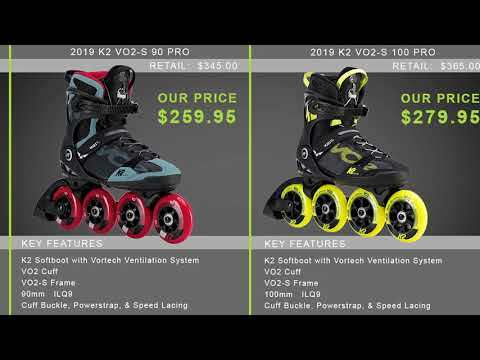 From leisurely skates around the park to the fitness-oriented skater looking for comfort and performance, the versatile and supportive K2 FIT 84 Boa Inline Skates are simply unbeatable. Q: What happens if I buy a pair of roller blades and they don't fit? How hard is to return them? How do you know what size to buy? A: Inline skates are going to size the same as your standard shoe size unless otherwise noted. These skates fit just like shoe size so if you wear a size 9 in your day to day shoes you will want to get these skates in a size 9 as well. Skates can take some time to break in so expect a few times skating for a perfect fit. For return information please type "returns" in the top site search bar, we offer easy returns but please be sure not to use the product beforehand as this makes returning more difficult.